Stray begins on an idyllic countryside meadow: a willow tree bending over an azure pond, farm animals grazing on hilly fields, and–suddenly–a young woman, Jennifer (Gabrielle Stone, Speak No Evil), rolls out of a van and away from a male assailant. She stabs him and escapes narrowly into the forest, with nothing but a small pink knapsack. Jennifer lands in the sedate and equally idyllic Chestnut Hill, picking up shifts at a local bar, and finding a friend in Greg (Dan McGlaughlin, Zombie Killers : Elephant’s Graveyard), the bar’s owner. But Jennifer isn’t content to remain friends. She quickly comes between Greg and his fiancée Sarah (Samantha Fairfield Walsh, Funny Bunny) by falling pregnant and claiming Greg as the father of her child. But just as she is on the brink of becoming a part of a family, her hidden, unspeakable past catches up to her, which spells disaster for all who have come to know her in Chestnut Hill. Is it possible for Jennifer to break the cycle and overcome her violent history, or will she flee again, doomed to remain a wandering stray? 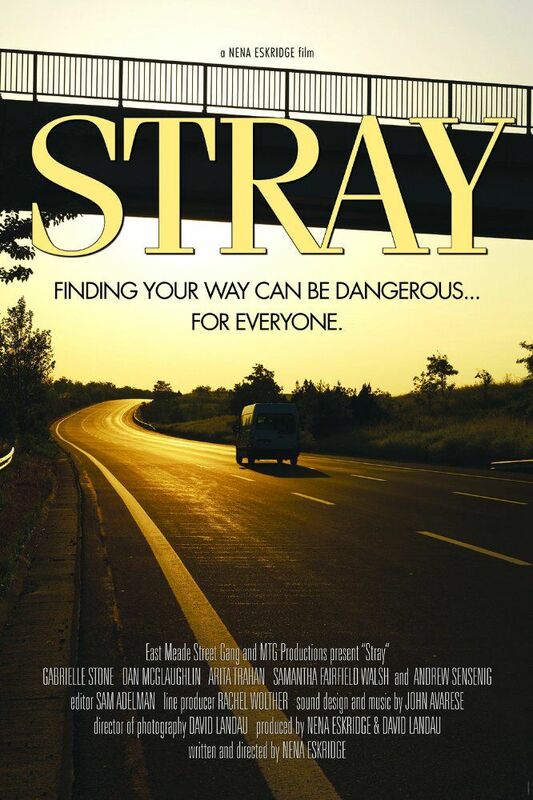 Stray is out now on Amazon Prime from Indie Rights.